Not a fan of Siri in Sierra? The Siri icon appears in both the menu bar and the dock, but thankfully OS X Daily points out that it’s easy to hide away. 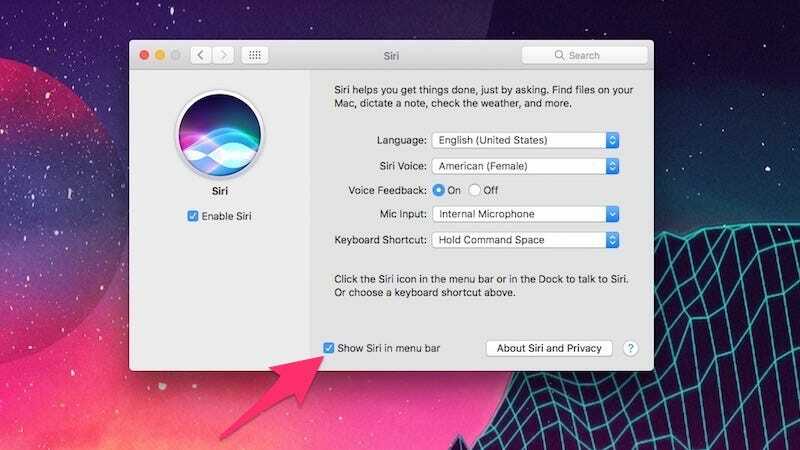 To hide the Siri icon, head to System Preferences > Siri and uncheck the box next to “Show Siri in menu bar.” If you want the Siri icon out of the Dock, just click and hold on the icon, then drag it out of the Dock to remove it. Siri will still work with a keyboard shortcut, but will be out of your way.